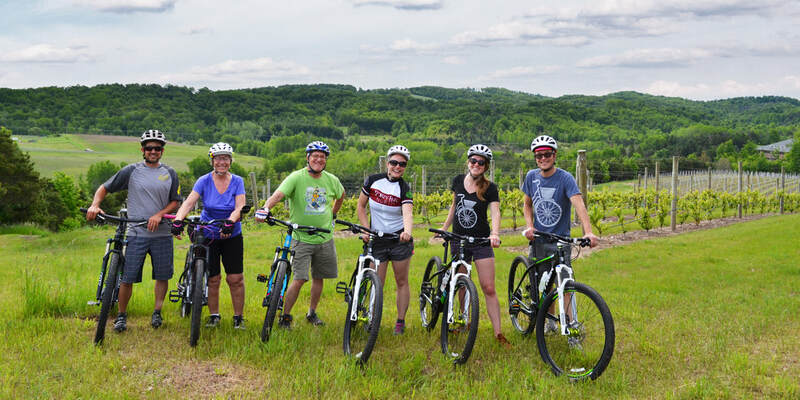 Let our knowledgeable guides take you along vineyard trails and single track on this mountain biking adventure. Taste award winning wines after learning about and get the know the vines first hand. Join us for a rare opportunity to ride through the vines! 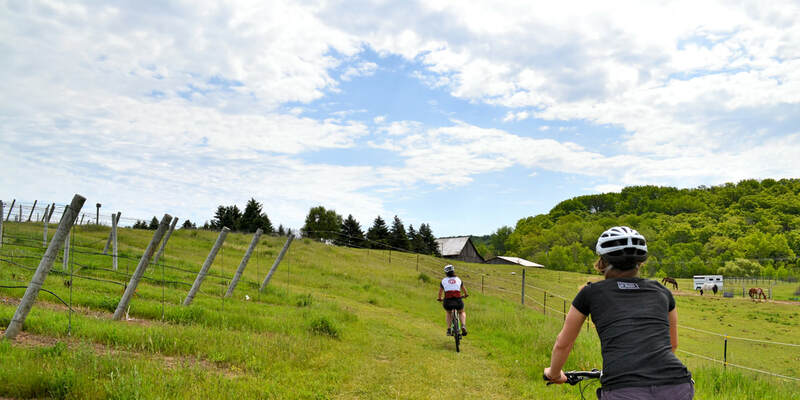 Covering 5-7 miles of rolling dirt roads and single track trails, your guide will lead you by mountain bike through Forty-Five North Winery’s picturesque vineyard landscapes. Rolling through the vines you will be able to witness the grapes ripening first hand as well as experience stunning views of their vineyards and the surrounding orchards. From vines to wines. Start the day by learning the different stages of the vineyard season, from bud brake to harvest. See the steps that go into their award wining wines. Roll back to get an exclusive behind-the-scenes tour of Forty-Five North's Winery. Pick, taste and savor your favorite wines. Finally, conclude the day with a delicious, catered picnic lunch while over looking a spectacular view of the vineyards. Wine tasting fees are not included. Tasting fees are typically $5-10 per winery. Casual pace cycling tour. The terrain is rolling hills on 2 track and single track mountain bike trails and a little pavement.